It was recently announced that Farah Khan is all set to produce her first Netflix original titled Mrs. Serial Killer. It will be helmed by her husband Shirish Kunder. The director said that the upcoming digital show will be an apt story for the audience. Now, we hear that the casting for the show is under process. 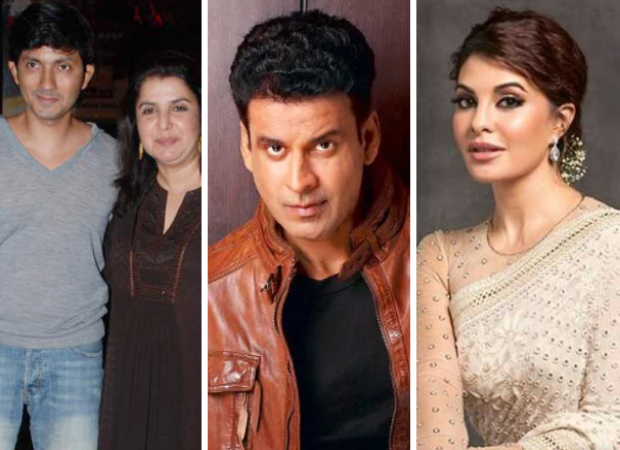 As per sources, Farah Khan and Shirish Kunder have roped in Manoj Bajpayee and Jacqueline Fernandez for their project. While they are yet to officially announce their collaboration, it would be interesting to see Manoj and Jacqueline come together for the first time. Meanwhile, we are waiting for more details. This would be the second time Shirish will work with Manoj Bajpayee as he had earlier directed the actor in 2016 short film, Kriti. Farah Khan had earlier said in a statement that it was too soon to delve into the delves for the project. She said that Mrs. Serial Killer will be something that will be apt for the strong content craving audience not just in India but overseas too. She added that the story is the heart of the series and they are very confident that it will travel across the world. ALSO READ: Rohit Shetty and Farah Khan to remake Amitabh Bachchan – Hema Malini’s Satte Pe Satta?